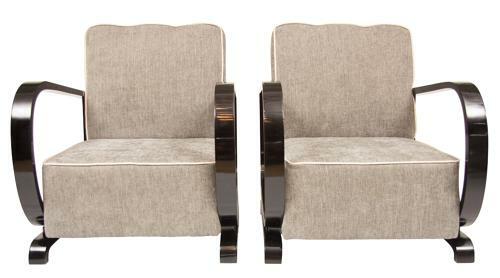 A Pair of Art Deco Armchairs fully re upholstered and repolished. These are extremely comfortable and have been totally reupholstered not just recovered ,to the highest standard. Very stylish and of the mode.